CoolSculpting may be the easiest way to make the changes you need to look your best. This treatment does not involve surgery, needles, anesthesia, or interruptions in your daily routines. It’s easy, performed by a professional, and reshapes your body in ways that dieting and exercise cannot. An FDA-cleared treatment for fat reduction, CoolSculpting is a refreshing way to eliminate stubborn pockets of fat. It freezes away the fat using the scientific principles of cryolipolysis, a revolutionary concept discovered at Harvard University. This non-invasive treatment is particularly successful in eliminating fat that has proven to be resistant to exercise and diet. CoolSculpting freezes your fat cells, triggering a natural elimination process. The treatment uses specialized applicators to apply controlled cooling directly to the areas of fat being targeted for reduction. Once the fat is frozen, the cells begin to die. The body’s immediate response is to get rid of the dead cells. The body’s metabolism begins the natural process of removing damaged fat cells from the treatment areas, filtering them through the lymphatic system and out of the body. This process fully eliminates the fat naturally, reducing the thickness of fat pockets and layers. As a result, your CoolSculpting treatment dramatically reshapes your body within months. On your treatment day, your provider gently places a gel pad on the targeted area and applies the CoolSculpting applicator to send controlled cooling to the fat in this area. At first, this part of your body begins to feel cold, a sensation that gradually transitions to numbness. You may feel tugging, pulling, or pinching of your body and skin in the treated area. During this time, you can read, listen to music, or use your electronic device. Individuals who are close to meeting their weight loss goals make the best candidates for CoolSculpting, particularly if they are within thirty pounds of their efforts. Coolsculpting helps remove stubborn pockets of fat without the need to undergo surgery by targetting unwanted fat pockets or bulges in specific areas of the body, allowing you to attain your body goals easily and painlessly. Discover if you are a good candidate by scheduling a free Coolsculpting consultation and pricing estimates to find out if this is the best procedure for your ideal body shape. 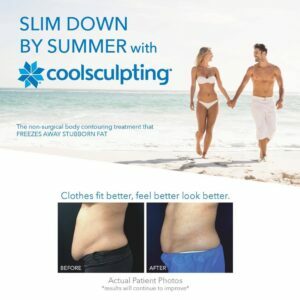 How much does CoolSculpting usually cost in San Diego? 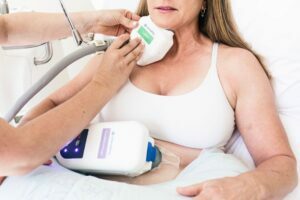 According to patient reviews on Realself.com “The typical cost for CoolSculpting near San Diego, California ranges from $600 – $4,000 with an average cost of $1,625 near San Diego and an average of $2,400 from all locations.” Depending on your desired goals, the number of sessions you need to achieve these results, and the number of areas you intend to treat. You can try one cycle and see the results and you can do more than one coolsculpting treatment, which is often recommend to reach your goals for one area. Coolsculpting can help trip up to 25% of the fat per area, per treatment. If you opt to have multiple areas treated, you should expect to pay between $1000 and $4000. If you want to slim down without surgery, please schedule your free consultation to learn more about what CoolSculpting has to offer you. Coolsculpting is currently FDA-cleared for treatment of fat reduction on the following body areas: abdomen, lower stomach, love handles, upper arms, chin, the back, inner thighs, and outer thighs. This procedure is priced by the cycle. Your cost is determined by the area of treatment, the number of cycles required, and your intended results. Depending on your specific goals, you may need to space treatments out. 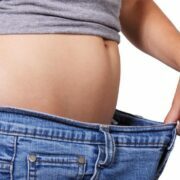 All of these factors influence the cost of your Coolsculpting plan. For a personal consultation to evaluate your needs, create a treatment plan, and determine your CoolSculpting cost, give us a call at (619) 299-0264. Go to our Coolsculpting San Diego treatment page to learn more about the treatments and see our current Specials on Coolsculpting in San Diego. Different applicators are used to sculpt the lower and upper abdominal areas. The CoolCore™ addresses the fat on the upper region, while treating the lower abdominal region requires the use of a large applicator such as the CoolMax™. The average CoolSculpting abdomen, stomach, tummy cost ranges from $1200-$3600 per session, depending on how many areas you are having treated. In many cases, two visits are recommended to fine tune your results. The CoolCore™ effectively reduces heavy areas of fat found in the lower back region, while the CoolPetite Advantage™ addresses this issue in the mid-back section of the body. Depending on the extent of sculpting desired, you may need one or two appointments. The average CoolSculpting mid-to-lower back cost ranges between $1200-$2400. The CoolCurve™ is typically used to achieve fat reduction in the curved area of the flanks/sides in conjunction with the CoolCore™ for precision sculpting in this region. A single session may be sufficient, but many patients find that a second session helps to deliver the desired results. The average CoolSculpting flank price per session is $1200-$2400. Eliminating cellulite from the thighs is one of the most common reasons for using the CoolSculpting process. Typically, it takes a single treatment of 35 to 40 minutes in duration per thigh using the CoolFit™. It is possible for both legs to be treated at the same appointment or you can schedule two sessions. The average CoolSculpting inner-thigh cost per leg is $1200-$2400. The CoolFit™ is used for freezing fat from your upper arms. Both arms are generally sculpted in a single appointment. The average CoolSculpting back-of-arm cost ranges between $1200-$2400. Restoring your youthful appearance could be as easy as sculpting your double chin. The Coolsculpting Mini™ sculpts your chin and contours your neck while eliminating excess fat in this region. Depending on the severity of your double chin, you may need only a single visit or you may require a follow-up appointment to achieve desired results. The average CoolSculpting double-chin cost per session is $700-$1200. Ageless and Beautiful Medical Spa offers the latest in CoolSculpting applicators, delivering a more comfortable experience for patients. Each applicator specifically targets fat using a specialized design that reduces treatment time while delivering a more effective process. 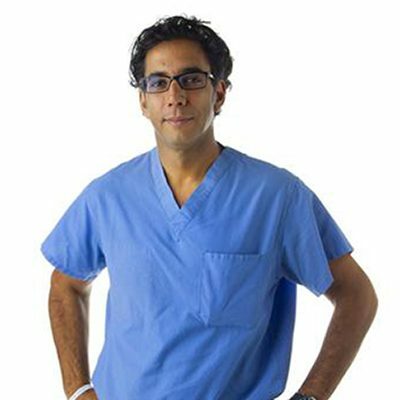 Under the guidance of Dr. Sean Daneshmand, our highly experienced, Coolsculpting certified providers assist patients in reaching their body goals through the benefits offered by the CoolSculpting procedure. For information on freezing the fat away, request a free consultation and see our special offers on Coolsculpting. Isn’t it time for you to create a customized plan tailored to your beauty goals, your body physique, and your personal budget? * Results may vary patient to patient. Coolsculpting results are not guaranteed. What does the freezing process feel like? During the initial stage of your fat freezing process, the targeted area begins to feel extremely cold. In a few moments, this cold feeling transitions to a sensation of numbness. Some individuals also experience the feeling that something is tugging, pulling, or pinching their body. Where does the frozen fat go? Eventually, frozen fat cells die and travel to the liver where they are processed before being permanently eliminated from the body. While it only takes about two weeks for frozen fat cells to die, it takes at least three months for the liver to flush them out naturally. It can take as long as six weeks for this process to reach completion. While the biggest changes become visible after two months, you may notice a slimming effect in as little as three weeks. As your body continues to eliminate dead fat cells, these changes become more pronounced. The fat freezing process typically takes between thirty and sixty minutes for a single treatment. If more than one area is being treated, your CoolSculpting session can take longer, depending on the size and location of the fat bulge. How many areas during a single visit? While it is possible to treat multiple areas in a single session, many patients choose to schedule more than one visit. This decision is one that you should make with your chosen provider. In order to have more than one body area treated during a single visit, the provider must have access to multiple applicators and specialize in treating different areas of the body. Can I reduce fat on every area of my body? Currently, the CoolSculpting procedure can only be used in the United States on FDA-cleared locations on the body. These areas include the abdomen, lower stomach, upper and inner thighs, upper arms, underneath the buttocks (banana roll), back, flanks, and underneath the chin. Together, you and your provider determine how many sessions to schedule in order to achieve your body-sculpting goals. The specific areas of the body involved and their existing condition influence this decision. The number of sessions required to achieve your goals depends on how many areas you intend to treat. How quickly can I go back to my normal routines? Most patients return to their daily routines as soon as the CoolSculpting procedure has been completed. This is a non-invasive treatment, so you won’t need to wear bandages or take special precautions. Individuals who have only thirty or fewer pounds to lose are good candidates. Maintaining a healthy diet and participating in a regular exercise routine enhances your results. Shortly after the procedure, many patients experience at least one or two minor side effects that go away quickly. These issues include temporary stinging, tingling, numbness, swelling, redness, bruising, blanching, cramping, aching, or pain of a mild nature. The treated area may feel tender to the touch, and the skin may feel itchy or sensitive to touching. Typically, these side effects go away within a week or two. A small number of patients may experience a side effect of a more serious nature. It is called paradoxical adipose hyperplasia and involves the treated fat cells growing in size rather than shrinking. Fat freezing isn’t an optimal procedure for everyone. People who suffer from paroxysmal cold hemoglobinuria, cold agglutinin disease, or cryoglobulinemia do not make good candidates and should not go through the CoolSculpting process. Obese patients who are looking to lose a large number of pounds are not good candidates for this procedure. They should not consider it as a good option for their weight-loss goals. What if I gain weight after having the procedure? Untreated fat cells remain in the body. If you ingest more calories than your body needs, these fat cells grow as they take in excess calories. It is possible that you may gain this weight evenly or in areas other than the treated ones, simply because many of your fat cells have already been eliminated. In fact, your overall weight gain should be less than it would have been since you have now fewer fat cells than you did previously. Disclaimer: * Results may vary patient to patient. Coolsculpting results are not guaranteed.